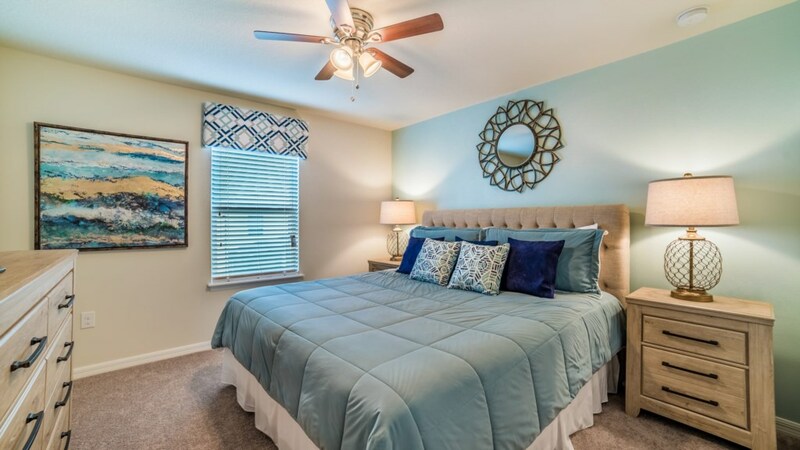 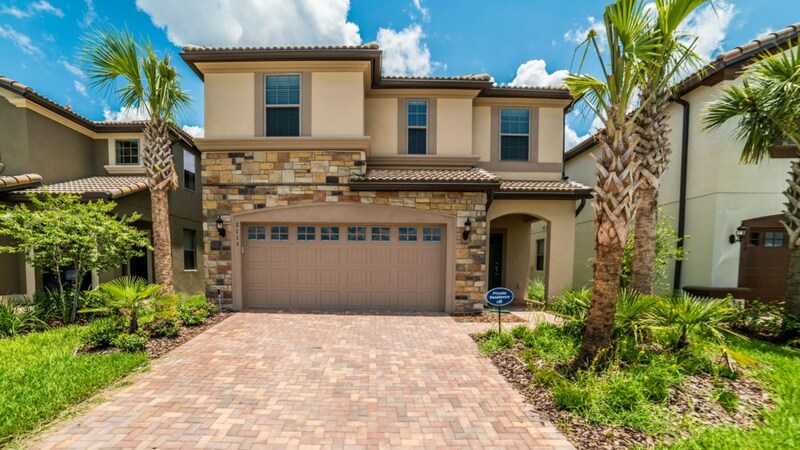 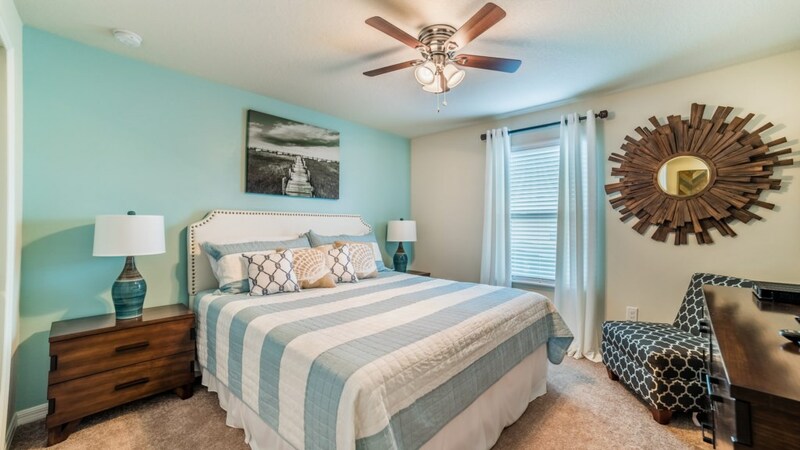 Welcome to this wonderful home located in the fantastic resort community of Windsor at Westside. 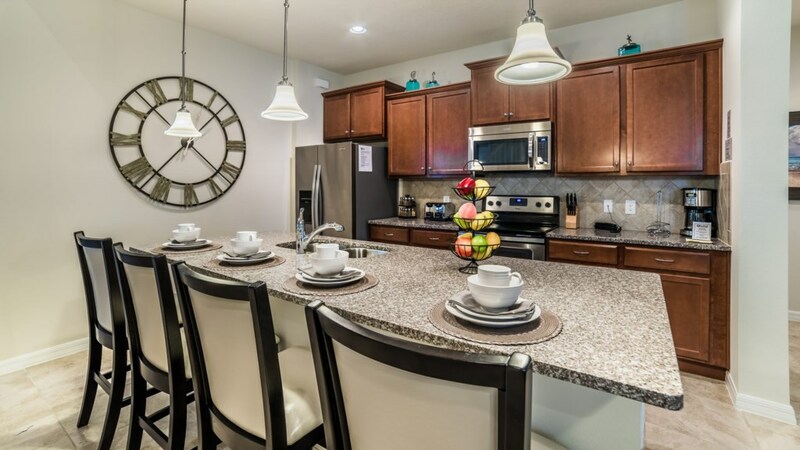 As you walk into this magnificent home, you are greeted by the huge kitchen. 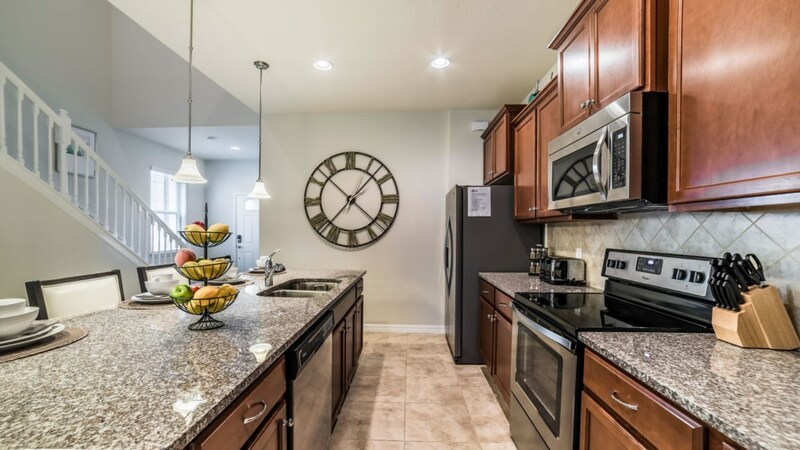 The kitchen in this home will make any chef proud with upgraded appliances, granite countertops and everything that you need to whip up a great meal. 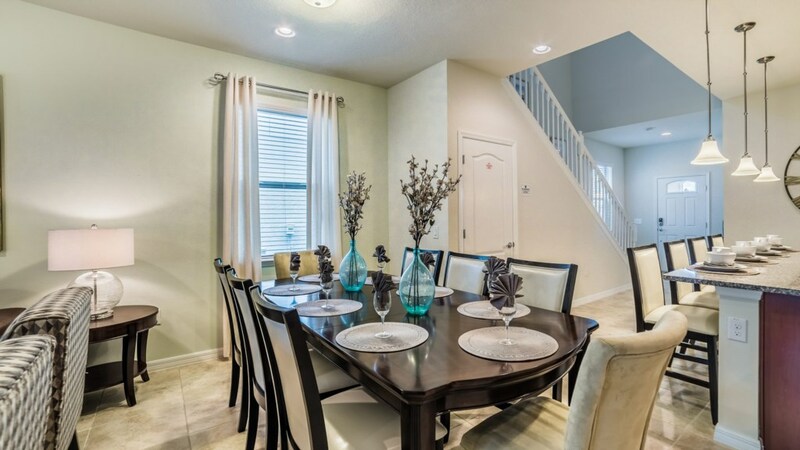 You then walk into the dining room and breakfast bar area, which seats plenty, where you can enjoy meals with your guests. 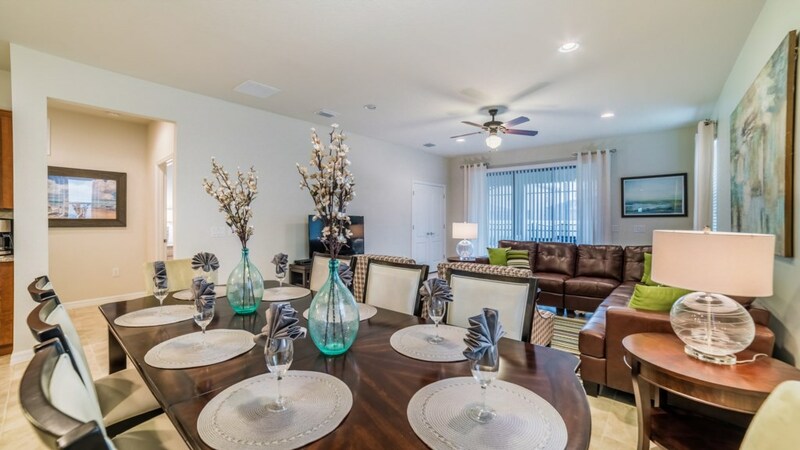 The living room is the perfect place for catching up on your favorite TV shows and relaxing. 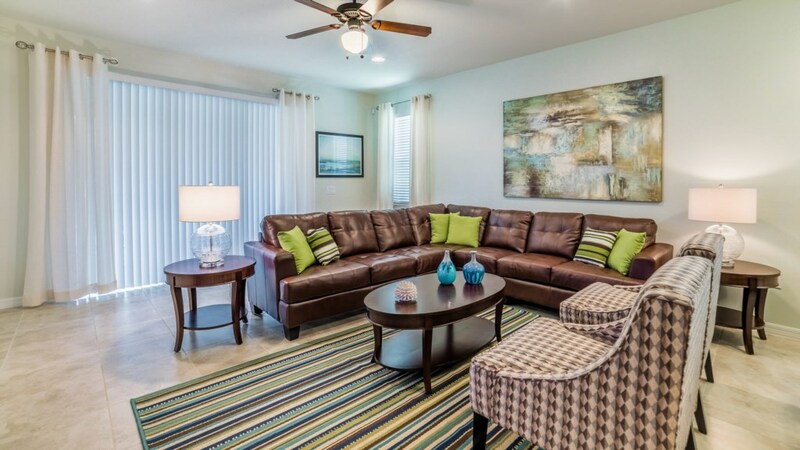 With comfortable couches all around, you’re sure to find your favorite spot. 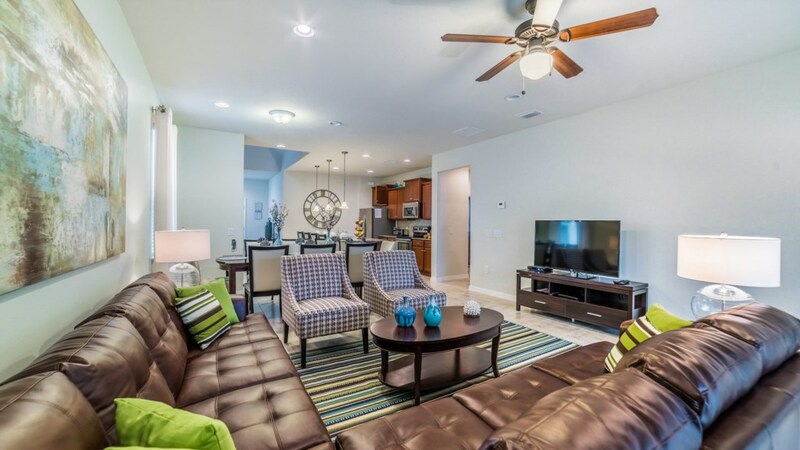 The living room overlooks the beautiful lanai and pool area. 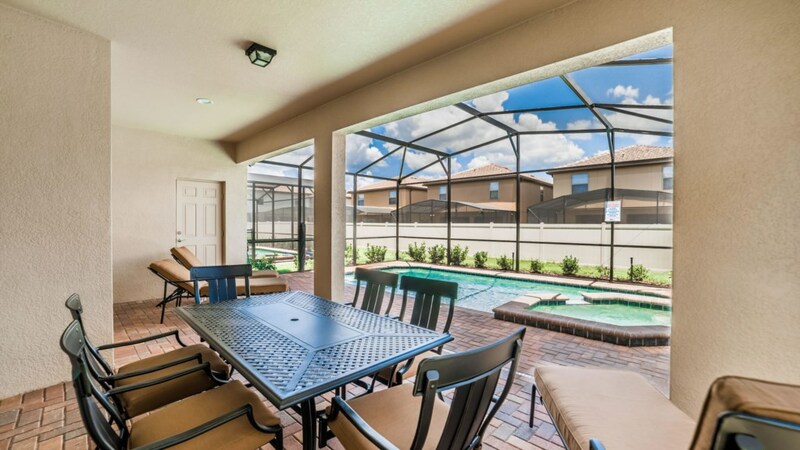 With a dining table outside as well as pool chairs, you can soak up the hot Florida sun like never before. 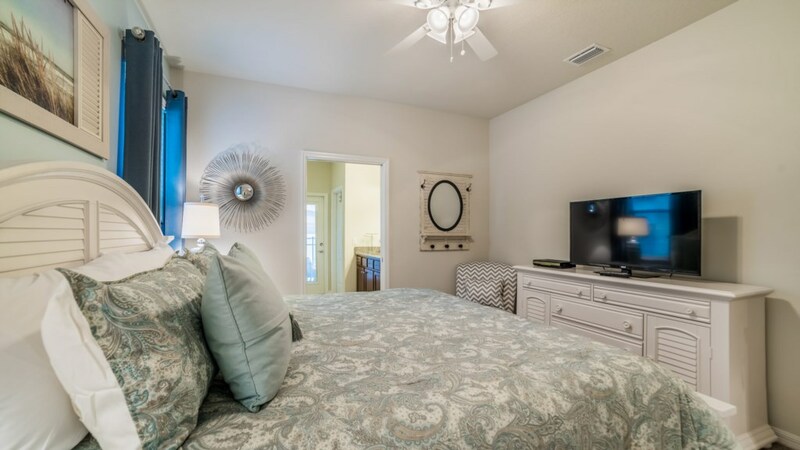 As the sun sets, hop in the spa for a night well spent. 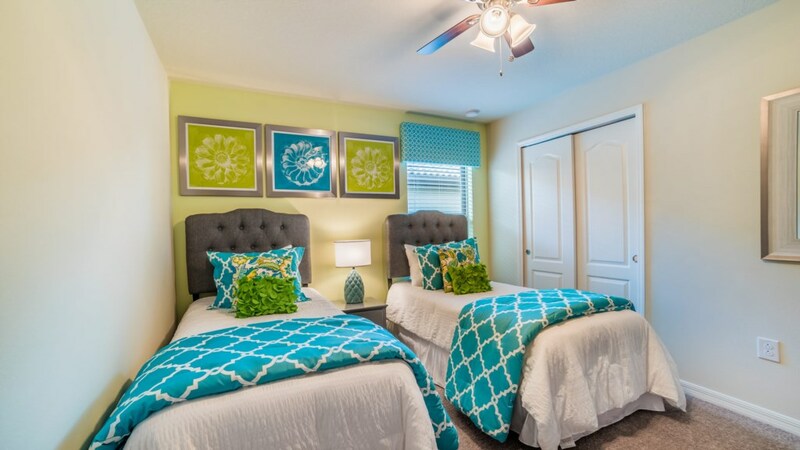 Head upstairs and choose any of the 7 bedrooms. 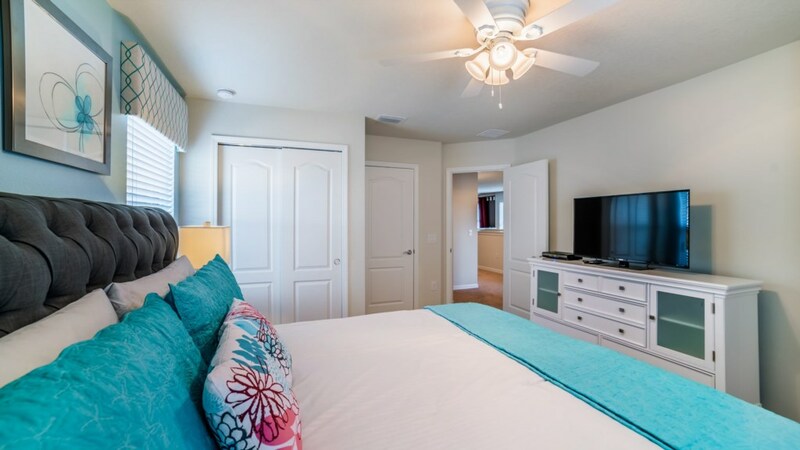 With 4 king bedrooms, 2 twin bedrooms with 2 twins in each and 1 bedroom with a twin and a full, this home sleeps up to 14 guests. 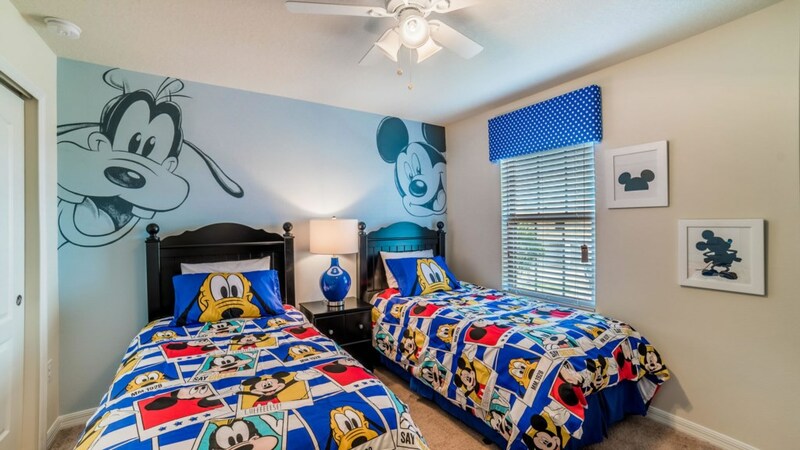 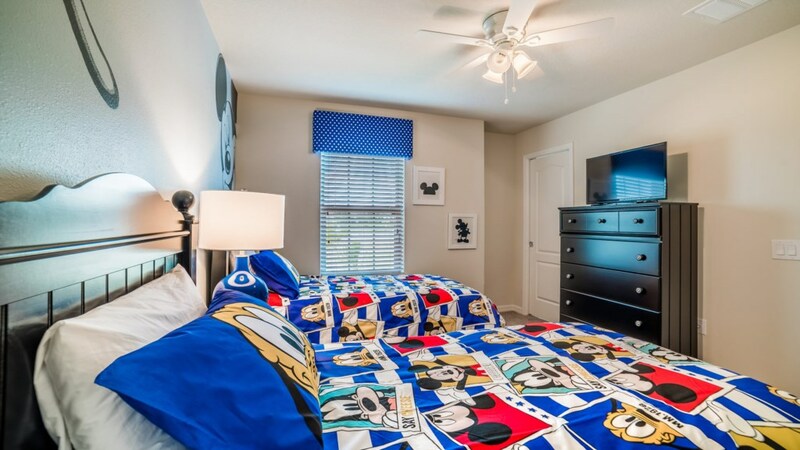 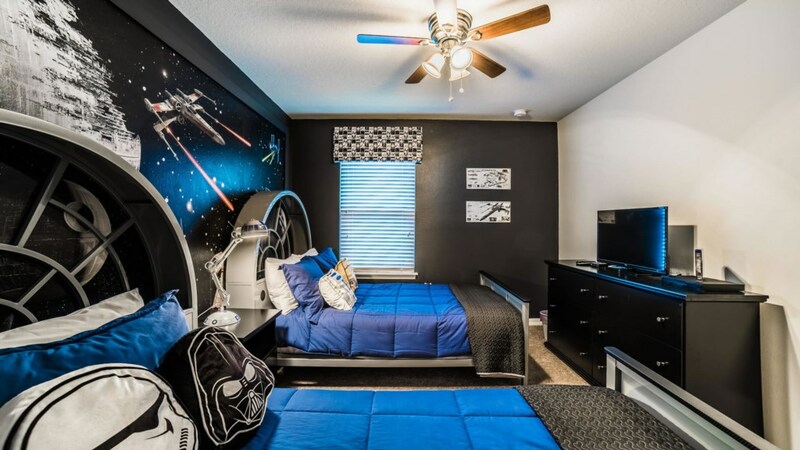 The Star Wars themed bedroom and Disney themed bedroom are just a few of our favorites that this home has. 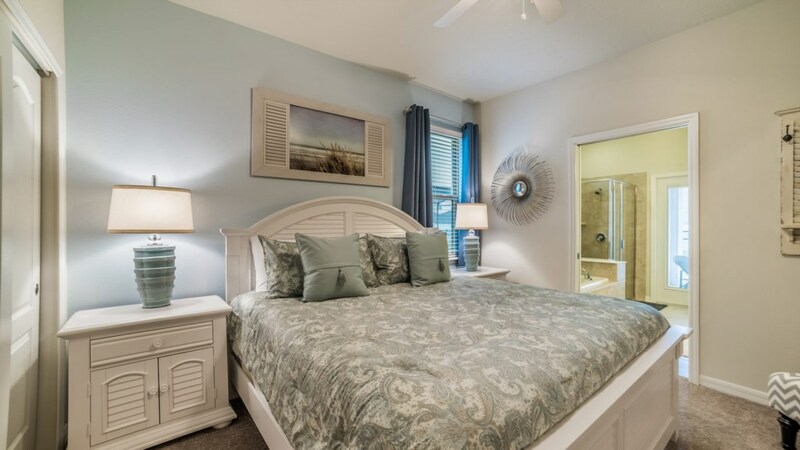 The 5.5 bathrooms are also great. 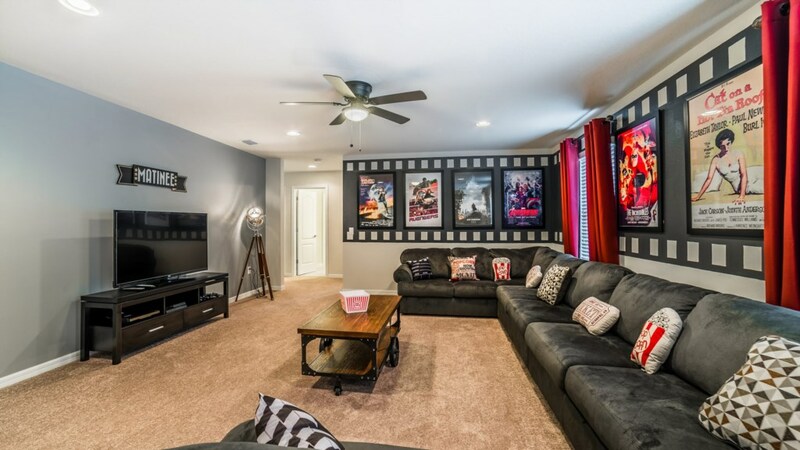 This home has a loft, which adds even more space for family movie nights. 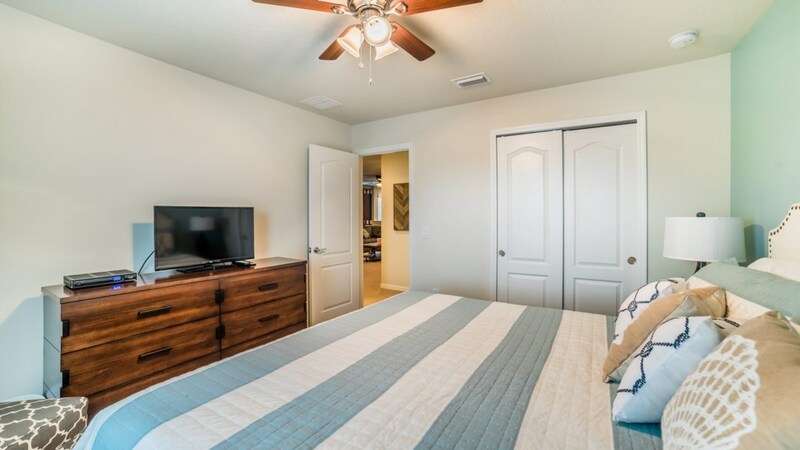 With a 50” flat screen and blu ray player, you’ll be able to watch all your favorites. 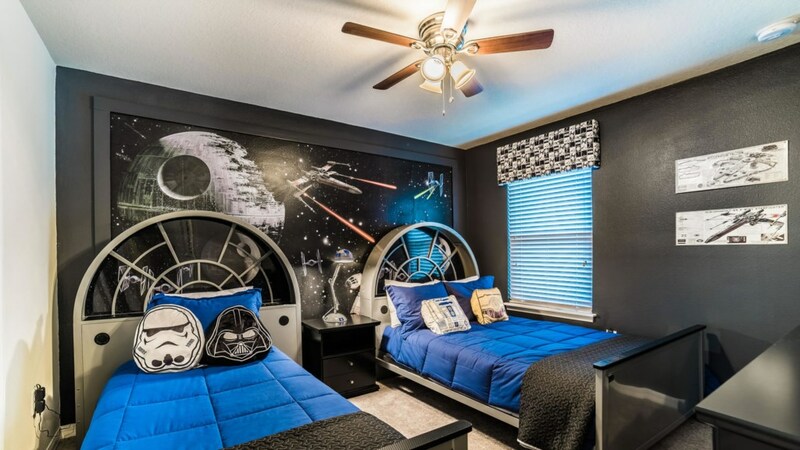 Lastly, head down to this home's private Star Wars themed game room. 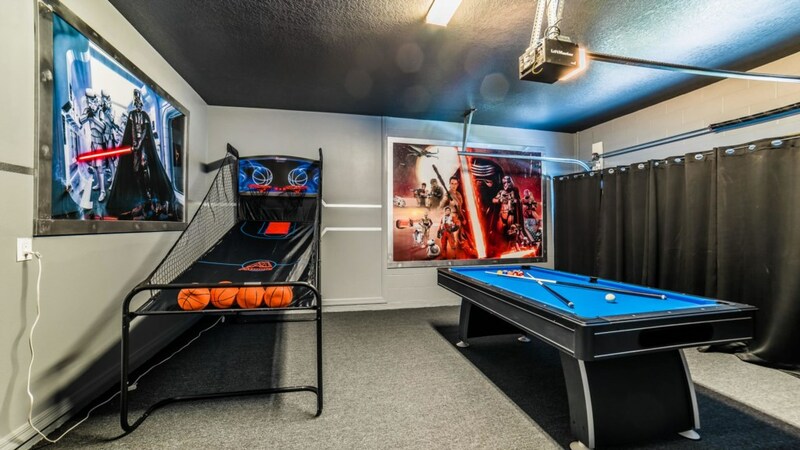 With basketball, pool and air hockey, everyone will have plenty of entertainment. 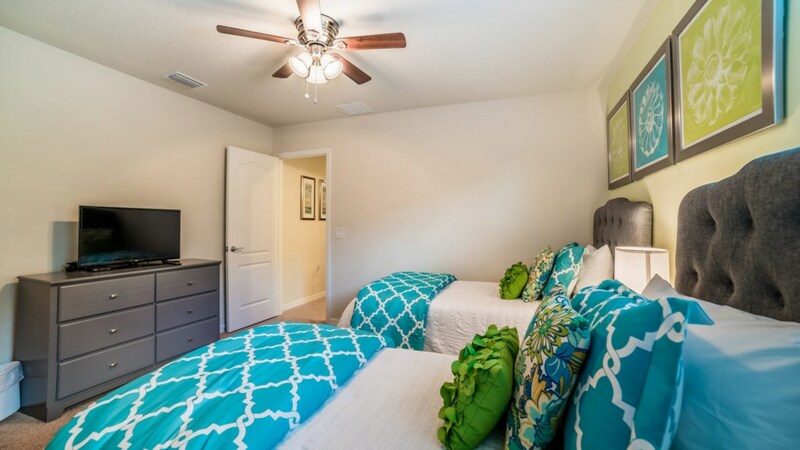 There is also an in-unit washer and dryer for your convenience. 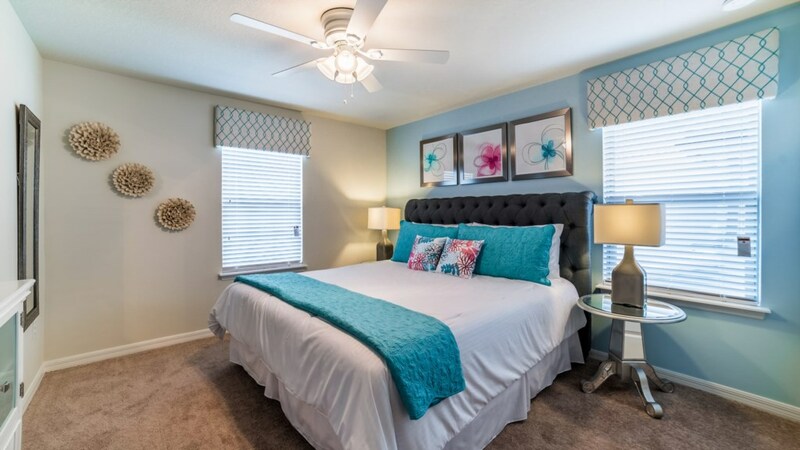 This home also provides you and your guests with access to the Windsor at Westside clubhouse. 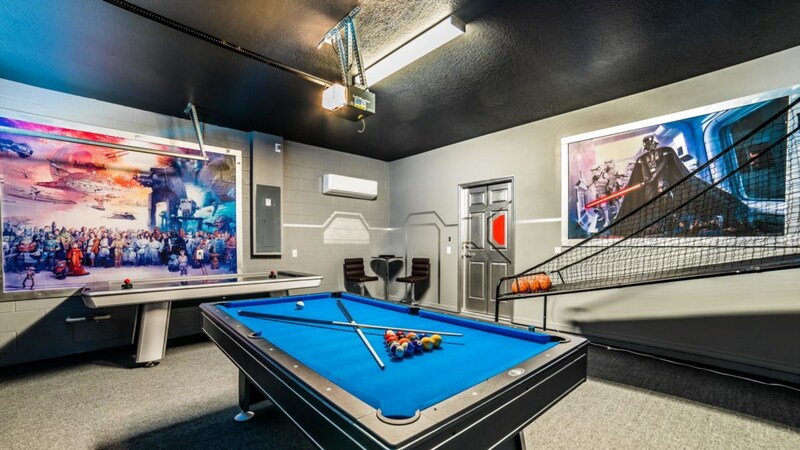 The huge pool, lazy river and game room will provide everyone with plenty of fun.